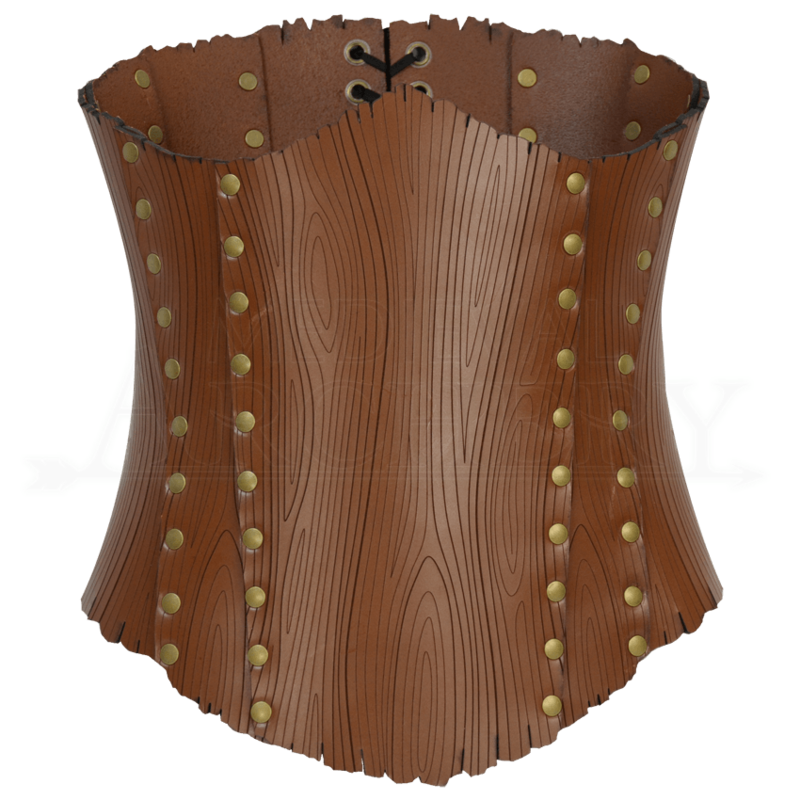 Natures beauty lies around for all to see, and now you can channel it as a part of your own ensemble, thanks to this Woodland Tree Bark Corset. Hand-crafted in quality leather, it reflects a strong, lovely look worthy of any dryad, forest fae, or woodland nymph. The corset is unique in its look, featuring a textured design reminiscent of tree bark, with a ragged edge that makes it seem like it is made from a length of living wood. It is an underbust style cincher that is secured with black lacing on the back. And since it is made from 8/9 oz. 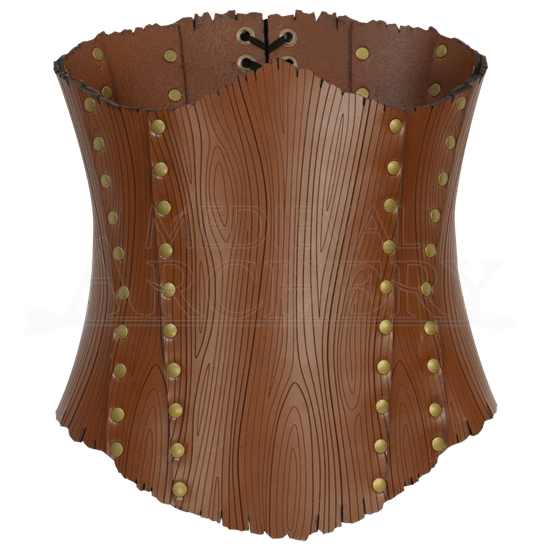 leather, this Woodland Tree Bark Corset offers a comfortable fit that will make it a popular choice for you to wear with a variety of costumes and looks, whenever you want that look and style that echoes the appeal of Mother Nature. Order by your waist size.